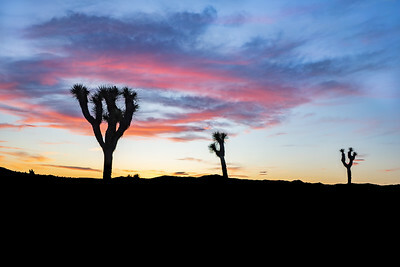 April 2018 I headed into Joshua Tree with three other dudes to explore the desert. 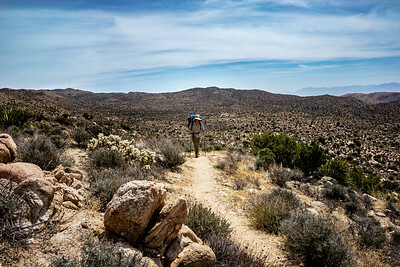 With six days of water drops in place we took our time exploring 36 miles of the desert on the California Riding and Hiking Trail. 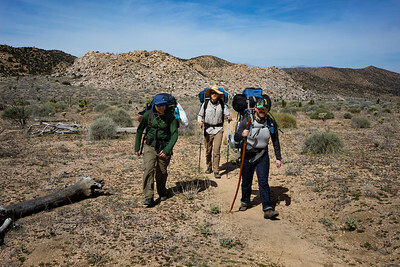 Every day of the trail featured a new special slice of the desert as the landscape and vegetation transitioned between the Sonoran and Mojave Deserts. I only took a small table top tripod on this trip, because every ounce adds up when you are lugging everything you need for 6 days on your back. This little tripod is way too flimsy for my macro lens so all the macro shots in this gallery were taken hand held, which is a real challenge. 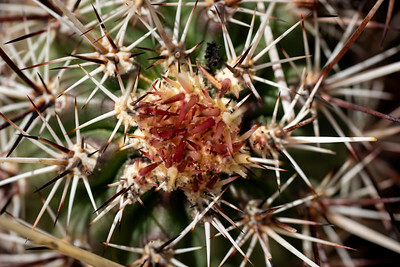 Luckily both my Sony camera body and macro lens have built in image stabilization, making these super close ups possible to capture hand held. 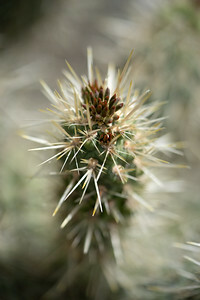 Nice shallow depth of field on this budding cholla cactus. 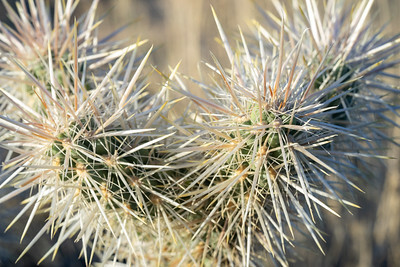 The Cholla in Joshua Tree were literally everywhere you looked. We didn't let them stop us from playing Frisbee, however. 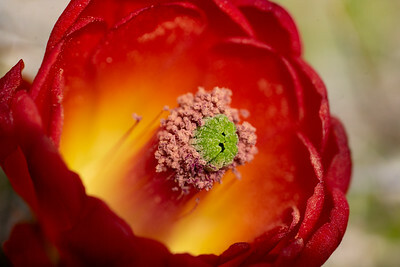 Super macro of a blooming cactus flower with the Sony 90mm G OSS. 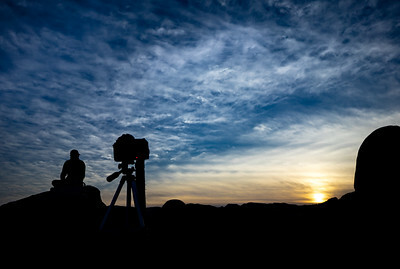 Exploring and taking photos with the dudes in the epic rock landscape of Pinto Basin during our 2018 Joshua Tree backpack trip. 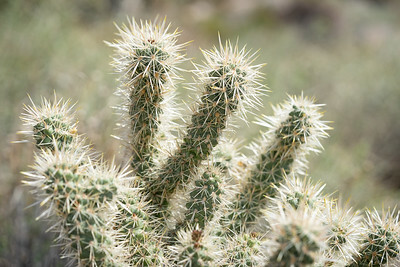 Some of the cholla cactuses were as tall as I am. Headlamps recommended at night. Interesting rock formations at Pinto Basin. 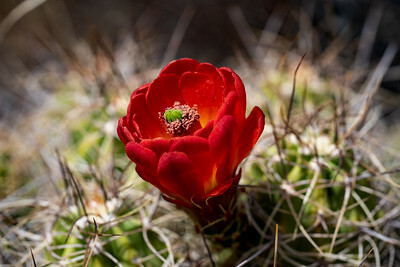 We got lucky and caught a handful of these incredible red cactus flowers on our trip. 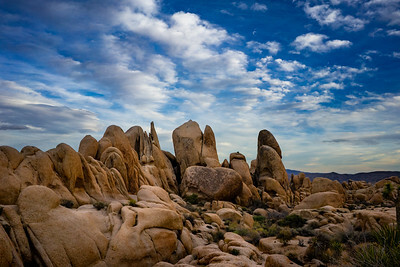 Wade trail blazing in the blazing Joshua Tree sun. 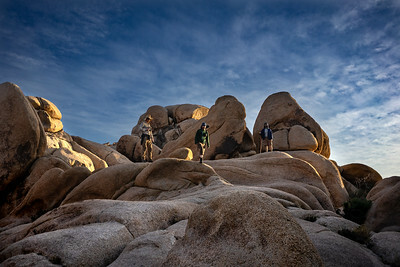 Trevor, Wade, and Kevin hiking like their packs are weightless! 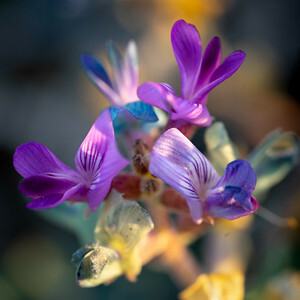 Found these little-tiny purple flower buds and was able to get a good handheld macro shot. 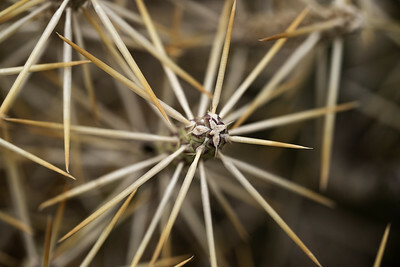 Awesome detail and a nice depth of field with this new macro lens. Just getting started for the day after a very cold and windy night out in the open. 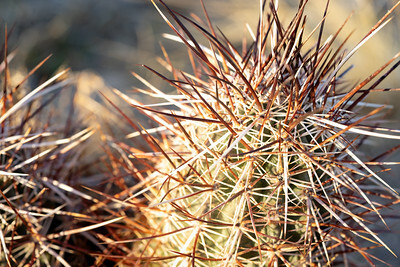 Be careful where you sit in Joshua Tree. 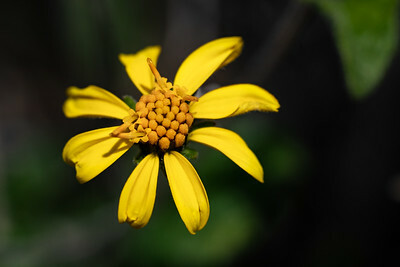 Another macro photo of mini little flowers.